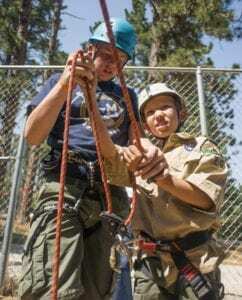 As Scouting units start to make plans and preparations for summer, I would like to remind Unit Leaders of one tool to help their units get most out of summer camp: the camp scholarship program. If your unit has a youth who would like to go to camp but may have some financial difficulties, this is one tool that you cannot ignore. Generous donors over the years have given funds specifically for the purpose of getting Scouts to camp. Every scout deserves the chance to experience life at summer camp, so please take advantage of this program and get your youth to camp. Each application is handled on a case by case basis so we can develop a plan that will work for best for each individual scout. For more information please contact Council Program Director: Shon Ostler at shon.ostler@scouting.org. We hope to see every scout at camp this summer!